My 24th birthday finally came!! But I was so lazy during thanksgiving day and after that, so I couldn't finish my homework and cleaning up my room. So, I ended up staying at my room and school. I relaxed anyway... so I guess it was a good start of my 24th year...?! 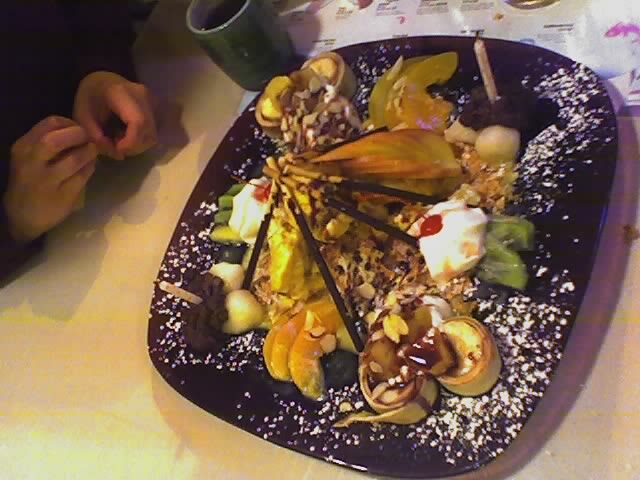 At night, I and my boyfriend went to my favorite Japanese restaurant, "KOZUE". But he talked to the manager and he could get off earlier! Yeah!! So we went to have dinner there. 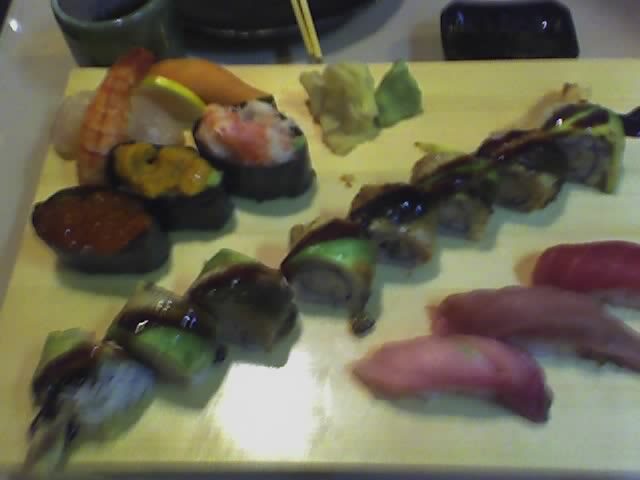 I ordered Seafood Casseroll, which I always wanted to have, and Sushi. "C's midnight treat", which is a pumpkin cheese cake icecream with pie crusts. Then, suddenly the room's lights were turned off, and they started singing "Happy Birthday"!! And the dessert came to me with a lot of extra stuff and candles!! Looked gorgerous, and tasted so delicious! Thank you so much, chef!! and all the workers at KOZUE! It was a wonderful night. So romantic! !